Sekong Hotel - Symphony of the sea ! It is a great pleasure to welcome you here at Sekong Hotel Danang, located at Vo Nguyen Giap road, parallel to the beach and looks East Sea, Son Tra Peninsula, Marble Mountains and only 5 minutes to the city center by taxi. While taking the most comfortable time at our hotel, you will be offered our reasonable services with smiling and hospitable staff. Welcome to Sekong Hotel Danang! Located at 152 Vo Nguyen Giap street, along My Khe Beach, Danang, Vietnam, Sekong Hotel overlooks green Son Tra Peninsula, facing the East Sea and recognized as one of the sixth most attractive Beaches in the World by Forbes. It just takes some footsteps then you can feel the cool of the blue sea. 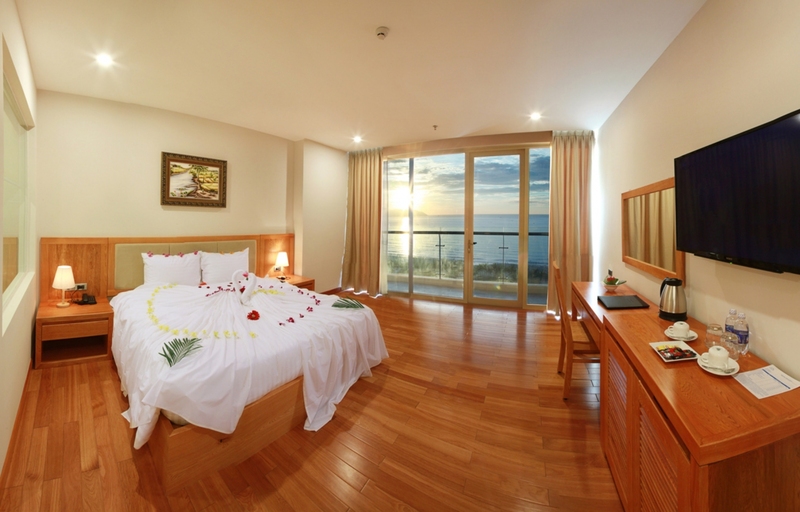 It’s a very ideal place for stopover upon your arrival to Danang City. 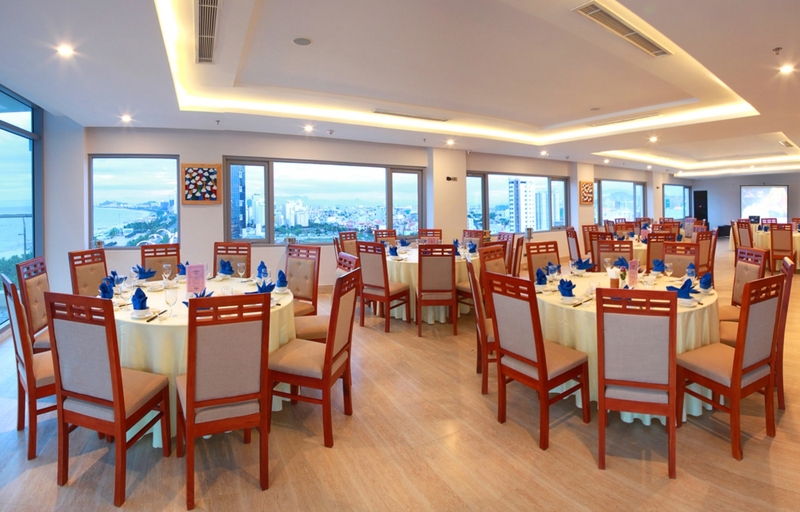 Sekong Hotel Da Nang is an elegant 12-storey hotel with 88 rooms combining Asian and European style, well-equipped with modern and luxurious facilities up to 3-star+ standard. 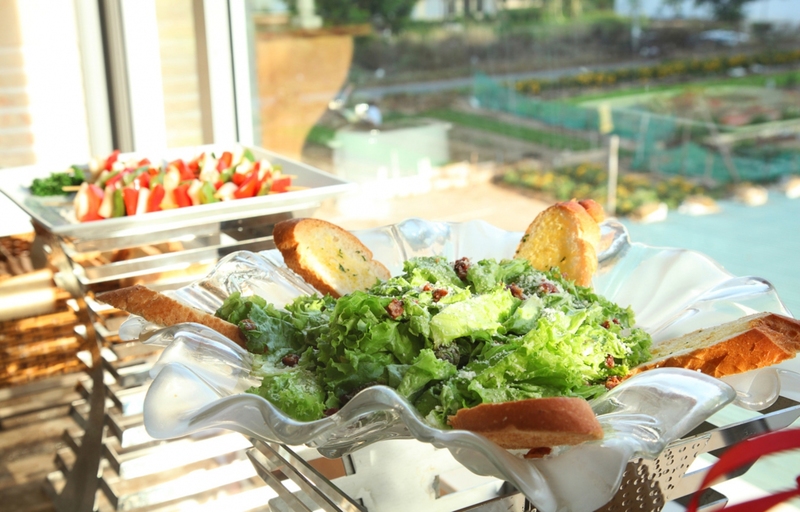 Restaurants–Café-Bar based at the mezzanine and top of the hotel offers more than 180 seats with excellent services combining both Asian and Western cuisine, which shall satisfy your dining taste. 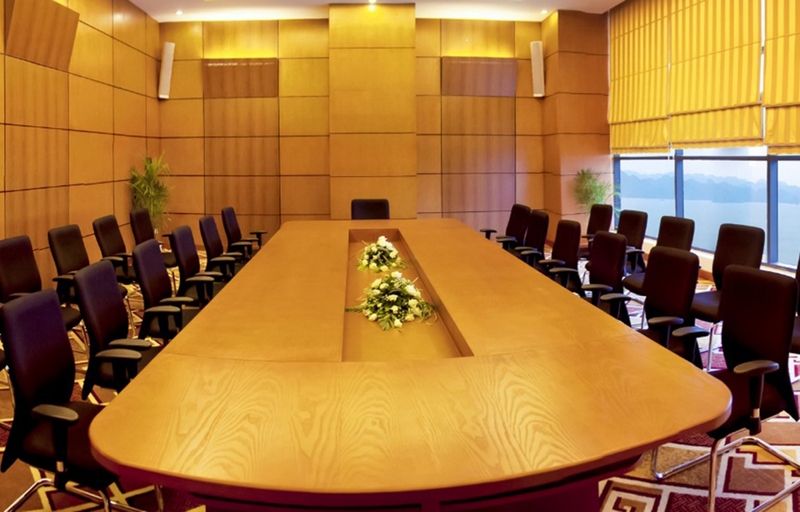 Conference room can seat up to 20 delegates, located on the 2th floor with modern facilities & equipment fascinated by its quiet atmosphere, panoramic view of the Sea, Son Tra Peninsula. This is a real good choice for classes, meetings with tea-break, meals and entertainment. 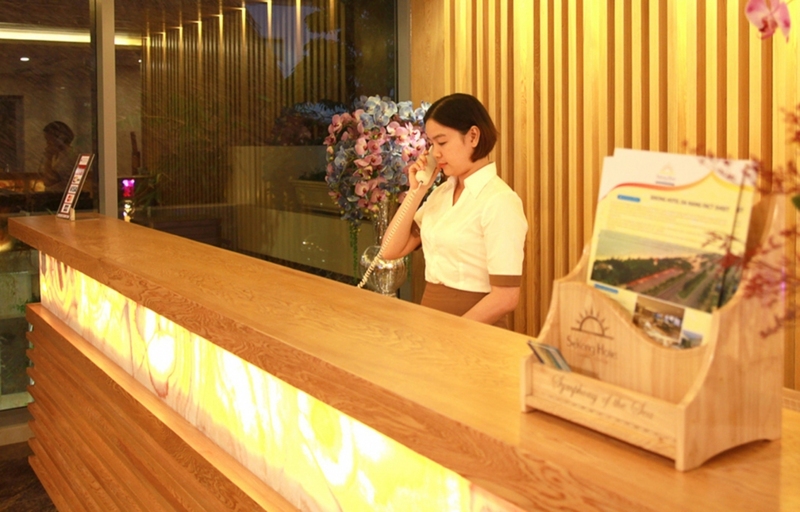 The Hotel aims to become one of the most favourite 3-star hotels in Danang City! Whatever the reason for your stay, Sekong Hotel will be an ideal venue. We are looking to welcoming you soonest possible! Our L’Auréole Restaurant located at mezzanine can receive 80 pax for daily buffet breakfast, A La Carte or Set Menus in pure Viet, Asian or Western style within whole day. Multi-functional Azur Bar – Restaurant – Meeting ideally arranged at 12th floor seating up to 150 pax looking panoramic beach, green Son Tra Peninsula, blue East Sea while white clouds drifting bringing you absolute leisure and serene feeling with fresh cool beverages served by our professional, hospitable and smiling staff! Seat inside or alfresco upon sunset or evening while lighting reflecting silver on sea and breeze flowing in. Memorable and creative themed parties or events can be incorporated into conference, incentive for Organazations. We are at your daily service from 6am to 10pm. Conference room can seat up to 120 delegates, located on 12st floor with modern facilities & equipment with quiet atmosphere, panoramic view of the Sea, Son Tra Peninsula, real good choice for classes, meetings with tea-break, meals and entertainment.